Rotate your wardrobe with the seasons to glean the benefits of the minimalism trend without having to sacrifice so many pieces. Have you wanted to take advantage of some of the minimalism trends but just can’t quite pare down your wardrobe? I hear you. I’m envious of the people who can make a capsule wardrobe (like Project 333) work for them. What I’ve found to work for me is seasonal rotating my wardrobe. In my twenties, I lived in a series of crappy apartments with tiny closets. Rotating my clothes seasonally was a necessity. Although my thirties have brought me an ample walk-in closet, they’ve also brought me a less thoughtful wardrobe — it simply expanded to take up the available space. The past year I’ve been inspired to return to my seasonal wardrobe rotation habit and I’m rediscovering the benefits. Since I’m not looking at the same items in my closet day after day, they feel “new” when I get them out of storage. By periodically doing an inspection of each item I am way less likely to encounter an unexpected fallen hem, missing button, or shoe in need of repair in the morning when I’m pressed for time. As I rotate my closet to the next season, I see gaps in my wardrobe and can be discerning about how to add in new pieces or accessories. There are fewer items in my closet, leading to fewer, but easier choices of what to wear each day. Here’s my step by step guide to converting your wardrobe to a seasonal rotation. What purpose does it serve in your wardrobe? Does it fit well? If not, can it be altered (e.g., seam let out/in, hemline changed)? Does it need to be cleaned, repaired, or polished? During this phase, don’t forget to inspect your workout gear, pajamas, and undergarments as well as accessories, footwear, and special occasion apparel. As you answer the checklist questions, you’ll make separate piles for items that need to go to the cleaner, tailor, cobbler (don’t forget they repair handbags! ), or watch/jewelry repair shop. 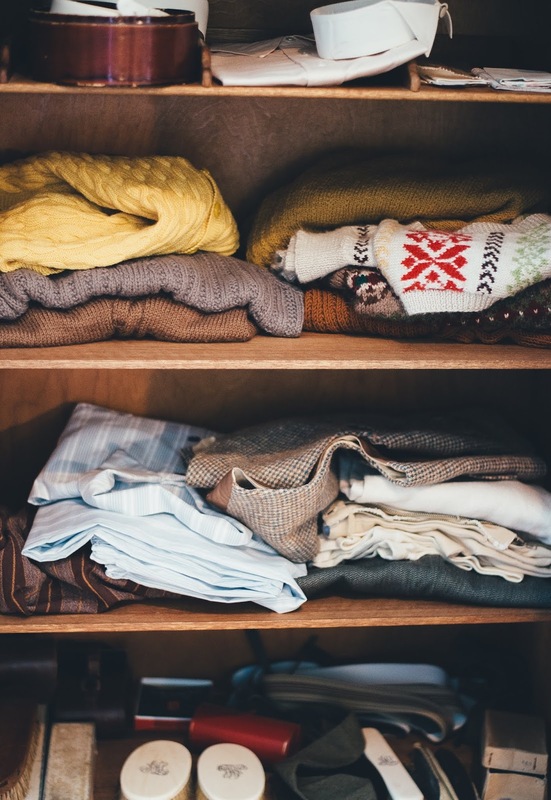 Another pile will be for items you’ll be getting rid of — whether by donating, swapping with a friend, or if in disrepair sending to the landfill. You should also make a list of items you want to replace. When everything in your wardrobe fits and is in good repair, it’s time to sort into seasons. Some items you tend to wear year round — that’s normal. Put them into one pile/area. Personally, I’ve got several pairs of slacks, some seasonless suiting separates, and a good number of blouses in neutral colors that are the building blocks of my wardrobe. For all other items, sort by which season you tend to wear the item, using fabric weight and color as an additional guide. No doubt you’ll identify a few items that you don’t wear year round but you do wear across multiple seasons. For example you may wear the same sweater in fall and winter. Assuming you have multiple sweaters, choose which season it more closely matches and put it in that pile/area. If you live in a climate with weather swings (I live in Colorado — we can go from a sunny 70 degree day to snow the next) or similar seasons (e.g., maybe spring and summer), it’s fine to keep a few “off season” pieces in your year round basics. After you’ve sorted your items, you’ll have a sense of the volume of items you’ll be placing in storage each season and can research options. As a starting point, consider your need for under-bed storage bins, hanging garment storage bags, vacuum storage bags, and stackable closet storage bins. Don’t forget to look into shoe shapers, boot stuffers, and handbag and jewelry storage options. When it’s time to rotate your wardrobe for the next season, follow a simple checklist for your outgoing, incoming, and seasonless items. How often did you wear the item? Why? On a scale of 1 to 10, rank how useful the item is to keep in your wardrobe. On a scale of 1 to 10, rank how much you like wearing the item. How do you feel about wearing it next year? Does it fit you well? Use the answers to determine whether the item is ready for storage, needs attention (cleaning, repair, etc), needs to be replaced, or should be culled. As you perform your inspection of outgoing season items, go through each of your seasonless wardrobe staples as well. Don’t forget seasonless jewelry, accessories, shoes, workout gear, pajamas, and shoes. Is the item perfectly ready to wear as is? Does the item need any additional items to complement it and make it more useful? For example, maybe you realize you could use a light sweater for layering. Are there any gaps in your wardrobe for this coming season? Are there any new accessories or pieces you’d like to look for to keep your wardrobe fresh or to work in a color or style trend? This post was originally published at ThriveGlobal.